Several high-profile members of the Palm WebOS team have left in the weeks since the company was purchased by HP. That’s bad news for HP, but great news for the companies they’ve landed at, including Apple and Google. Palm’s WebOS team included some of the best UI designers in the world, and together they created some great products. Of course, that didn’t stop Palm from going down the toilet, but you’d expect HP’s purchase of the struggling smartphone company to mean a revitalization or second chance for WebOS, right? Maybe not. 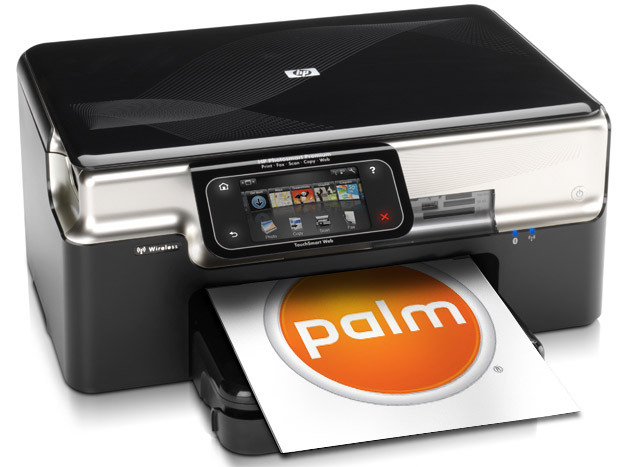 HP hasn’t given WebOS fans a lot of hope for what they’ll do with the OS (printers? really?) and several of WebOS’s key designers are fleeing–right into the arms of Palm’s competitors. The most recent is Rich Dellinger, who’s credited with WebOS’s notification system. As smartphones get more and more powerful, they start to take on more simultaneous tasks, which necessitates a way for the phone to let you know when something’s happening. Got a new email? A new IM? Did the song you were listening to just end? It’s a tough problem to solve. Android has the notification shade, a status bar that remains always at the top of the screen–it flashes and shows an icon when something requires your attention, and can be dragged down to show exactly what’s going on. Palm’s is a bit more elegant; it shrinks the screen slightly, showing what’s happening at the bottom of the screen and giving you control options there (like, say, music controls). Apple‘s iPhone has by far the worst notification system of the three. It actually pauses whatever you’re doing and presents a giant blue bubble in the middle of the screen for your yes/no. This has led to thousands of tragic deaths (in Doodle Jump). And wouldn’t you know it, Dellinger is headed over to Apple. Hopefully he’ll fix Apple’s notification system for iOS 5–it’s one of the few serious deficiencies left in iOS. This is a big loss for HP. Matias Duarte, the lead designer of WebOS who also worked on the Helio and Sidekick, left Palm/HP a couple weeks ago. Duarte is known in the industry as a “design guru,” one of the best (if not the best) mobile interface designers today. Duarte, along with his team, departed Palm/HP for Google‘s Android team late last month. Duarte is the biggest hit for Palm/HP, and coincidentally the biggest get for Android. Hopefully he’ll be able to smooth out Android’s rough edges and give it some polish. Another key player for Palm going forward will be Michael Abbott, VP of software and services. He’s the one that will be responsible for enfranchising developers, building up Palm’s app catalog, and bridging the gap between HP’s embedded device software (e.g., its touch-screen printer brains) and Palm’s platform. Well, as it turns out, he won’t be responsible for any of that stuff–Abbott left Palm/HP on April 23rd for Twitter, where he’s taken over as VP of engineering. Abbott may have struggled to build WebOS’s app catalog (its anemic catalog was one of the major reasons for its failure) but his experience will surely be missed. These three departures indicate some stormy weather ahead for Palm/HP, both because they’ll be missed at their old jobs and because, especially in the case of Duarte and Dellinger, they’ll be directly working for Palm competitors. Palm lovers should be worried–this exodus doesn’t bode well for the survival of WebOS.